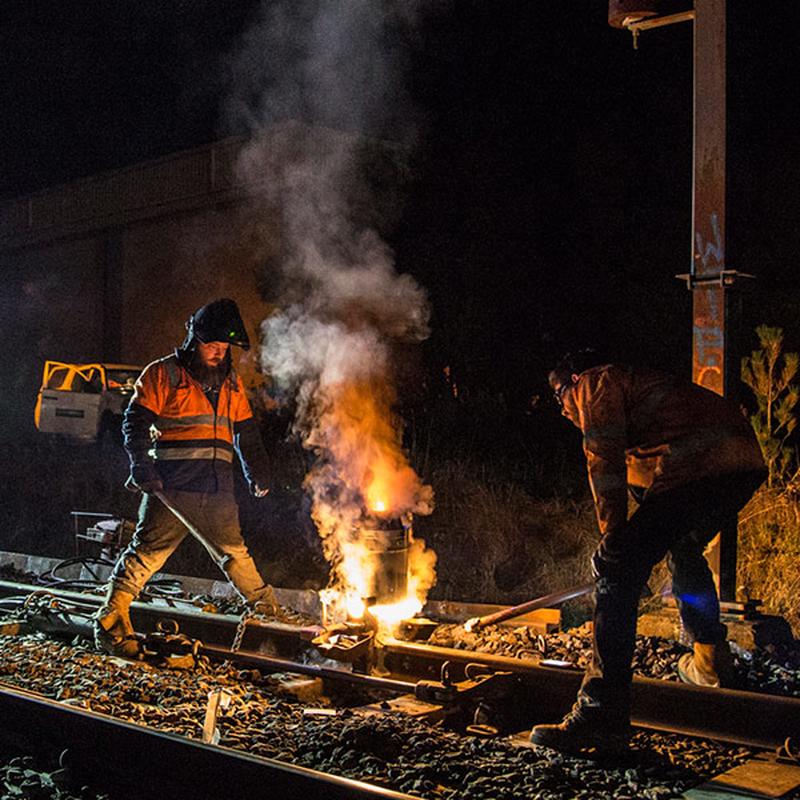 McLeod Rail completed over sixty shifts within a Victorian passenger network during both mid-week and weekend occupations. We supplied up to five weld crews per shift and all support crew including safeworking, labour, supervision, project management, hi-rail and non hi-rail plant. Activities included rail distribution, rail installation, clean up and weld testing, with peak labour requirements of over fifty personnel during the Easter 2015 extended occupation. Over the shifts a total of 161 faults were removed.